call Randy at 484-269-8687 today!!! Vertigo Vibe can take the hassle out of booking bands for your club, organization or event. private parties, special events, weddings, reunions, picnics, festivals, community celebrations, corporate events, fund-raisers, and more! as well as MD, but will consider other counties and surrounding states as well. We deliver the best in classic rock and roll entertainment at a competitive and affordable price!! Need a band for that backyard Bar-B-Q or Holiday party? how about for that special birthday party? or maybe that fund-raiser or Corporate event? please take some time to look at our Pictures or listen to our Demo Songs. Better yet, come on out and see us perform at one of our shows! Vertigo Vibe is a band you can count on! All jobs will be considered... no matter how big or how small. Why not schedule Vertigo Vibe for one of your events today? When you get the Vibe, you know you got the best! Contact Randy at 484-269-8687 for information, availability and pricing! And if it's acoustic rock you're looking for, we can offer FreeStyle. 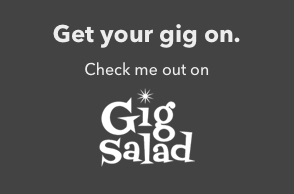 Also, visit us on Gig Salad!